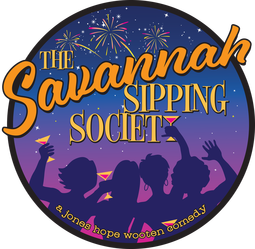 In this delightful, laugh-a-minute comedy, four unique Southern women, all needing to escape the sameness of their day-to-day routines, are drawn together by Fate—and an impromptu happy hour—and decide it’s high time to reclaim the enthusiasm for life they’ve lost through the years. Randa, a perfectionist and workaholic, is struggling to cope with a surprise career derailment. Dot, still reeling from her husband’s recent demise and the loss of their plans for an idyllic retirement, faces the unsettling prospect of starting a new life from scratch. Earthy and boisterous Marlafaye, a good ol’ Texas gal, has blasted into Savannah in the wake of losing her tom-cattin’ husband to a twenty-three-year-old dental hygienist. Finally, Jinx, a spunky ball of fire, offers her services as a much-needed life coach for these women. 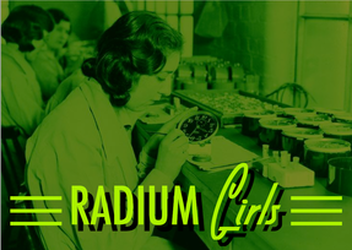 In 1926, radium was a miracle cure, Madame Curie an international celebrity, and luminous watches the latest rage—until the girls who painted them began to fall ill with a mysterious disease. Inspired by a true story, Radium Girls traces the efforts of Grace Fryer, a dial painter, as she fights for her day in court. Her chief adversary is her former employer, Arthur Roeder, an idealistic man who cannot bring himself to believe that the same element that shrinks tumors could have anything to do with the terrifying rash of illnesses among his employees. Grace finds herself battling not just with the U.S. Radium Corporation, but with her own family and friends, who fear that her campaign for justice will backfire. Written with warmth and humor and called a "powerful" and "engrossing" drama by critics, Radium Girls offers a wry, unflinching look at the peculiarly American obsessions with health, wealth, and the commercialization of science. A winner of the Richard Rodgers Award and the Helen Hayes Award for Best Musical. 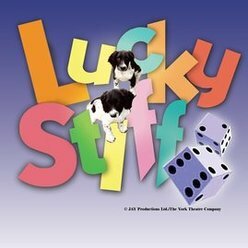 Based on the novel The Man Who Broke the Bank at Monte Carlo by Michael Butterworth, Lucky Stiff is an offbeat, hilarious murder mystery farce, complete with mistaken identities, six million bucks in diamonds and a corpse in a wheelchair. The story revolves around an unassuming English shoe salesman who is forced to take the embalmed body of his recently murdered uncle on a vacation to Monte Carlo. Should he succeed in passing his uncle off as alive, Harry Witherspoon stands to inherit $6,000,000. If not, the money goes to the Universal Dog Home of Brooklyn... or else his uncle's gun-toting ex!